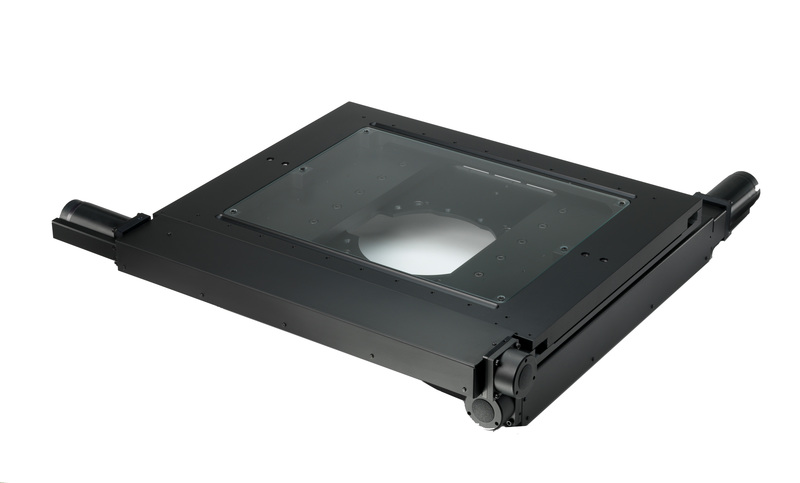 The H112 stage is ideal for scanning a wide range of semiconductor wafers, photo masks, flat panel displays and printed circuit boards. The H112 can easily accommodate 12 inch (300 mm) wafers and works with many robot arm wafer loaders. In addition, the H112 can be used for transmitted light applications with 250 mm x 250 mm transmitted light area. Optional 100nm linear scales provide the highest resolution available.